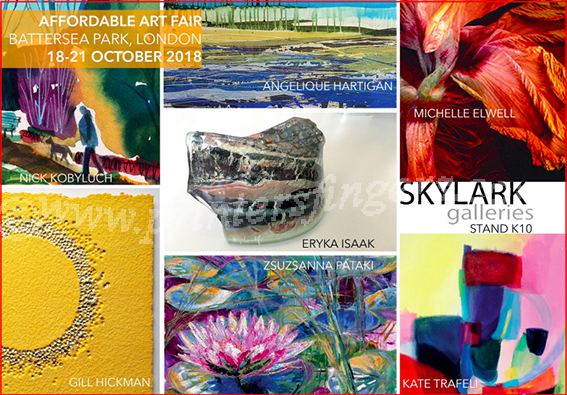 I'm delighted to be back with the Skylark Galleries as a guest artist at the Affordable Art Fair this October. I shall be alongside fellow Artists Gill Hickman, Kate Trafeli, Nick Kobyluch, Zsuzsanna Pataki, Eryka Isaak and Angelique Hartigan. We will be on stand K10 at Battersea Park for the Autumn edition of the Affordable Art Fair.